Foxit Reader is a PDF document viewer and printer, with incredible small size, breezing-fast launch speed and rich feature set. 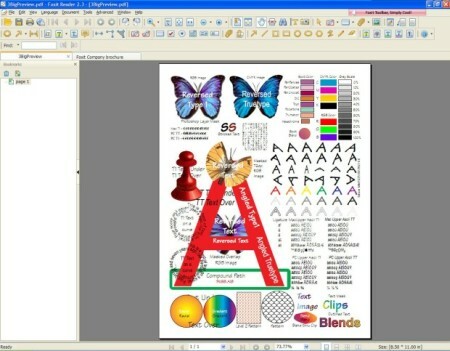 Its core function is compatible with PDF Standard 1.7. In the past, you've had to download a huge PDF reader from another software company, go through a lengthy installation process and wait for an annoying splash window to disappear just to open a PDF document. Fill Forms. Allows users to leverage exiting forms and workflow with standard PDF (Acroforms) and XFA (XML Form Architecture) form filling. Create Industry-standard PDFs. Provide feedback to documents through annotation and text markup tools. Make feedback more effective with boxes, circles, arrows, and more drawing tools. GnuCash is personal and small-business financial-accounting software. 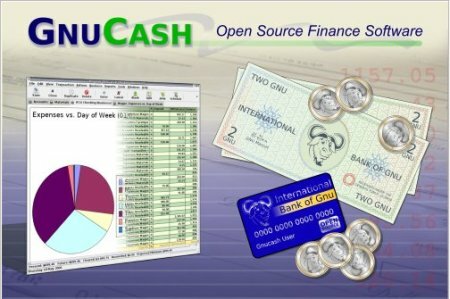 Designed to be easy to use, yet powerful and flexible, GnuCash allows you to track bank accounts, stocks, income and expenses. As quick and intuitive to use as a checkbook register, it is based on professional accounting principles to ensure balanced books and accurate reports. SASPlanet program designed for viewing and downloading high-resolution satellite imagery and conventional maps submitted by such services as Google Maps, DigitalGlobe, Yahoo! Maps, VirtualEarth, Gurtam, OpenStreetMap, iPhone maps, etc., but in contrast to all these services, all downloaded your card will remain on your computer, and you will be able to view them, even without connecting to the internet. In addition to satellite-based maps can work with the political landscape, the combined maps, and map the Moon and Mars. Convert .NET is a multipurpose conversion utility. Converts C# to VB and vice-versa using the ICSharpCode engine. 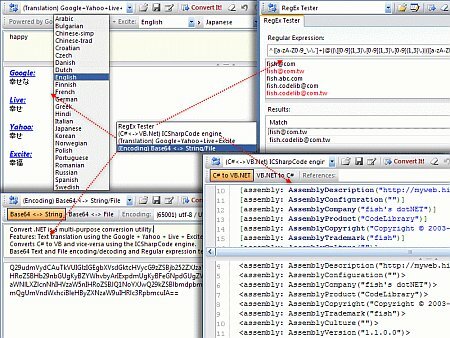 Convert .NET also offers text translation, Base64 encoding/decoding and regular expression testing. A standalone tool that does not require installation. BleachBit quickly frees disk space and tirelessly guards your privacy. Free cache, delete cookies, clear Internet history, shred temporary files, delete logs, and discard junk you didn't know was there. Designed for Linux and Windows systems, it wipes clean 90 applications including Firefox, Internet Explorer, Adobe Flash, Google Chrome, Opera, Safari,and more. 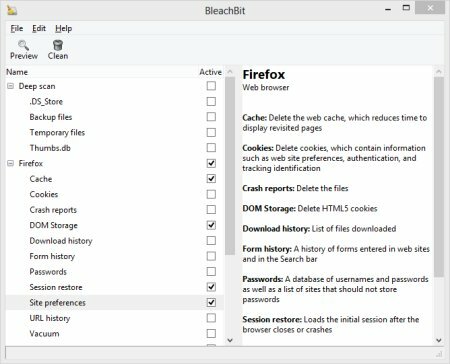 Beyond simply deleting files, BleachBit includes advanced features such as shredding files to prevent recovery, wiping free disk space to hide traces of files deleted by other applications, and vacuuming Firefox to make it faster. Better than free, BleachBit is open source. 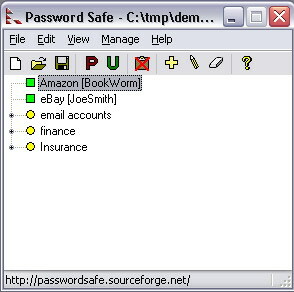 Whether the answer is one or hundreds, Password Safe allows you to safely and easily create a secured and encrypted user name/password list. With Password Safe all you have to do is create and remember a single "Master Password" of your choice in order to unlock and access your entire user name/password list. Security starts with you, the user. Keeping written lists of passwords on scraps of paper, or in a text document on your desktop is unsafe and is easily viewed by prying eyes (both cyber-based and human). Using the same password over and over again across a wide spectrum of systems and web sites creates the nightmare scenario where once someone has figured out one password, they have figured out all your passwords and now have access to every part of your life (system, e-mail, retail, financial, work). KCleaner is designed to be the most efficient Hard Disk cleaner, tracking every useless byte in order to give you all the ressources you may need for your documents, music, pictures, movies,... It is the first product of this kind featuring a full automatic mode, which works in background so that you don't have to care about when to launch it. As a proof of its efficiency, it often finds up to many Gb not even seen by its competitors so... give KCleaner a try ! And if data security is something you are interested in, you'll love the secured file deletion methods proposed by KCleaner, making deleted files unrecoverable by any known mean. Registry repair software that allows you to safely clean and repair registry problems with a few simple mouse clicks. The Windows Registry is a crucial part of your PC's operation system. Problems with the Windows Registry are a common cause of Windows crashes and error messages. Registry problems can occur for many reasons, including references left behind after un-installation; incorrect removal of software; missing or corrupt hardware drivers; or orphaned start-up programs. Wise JetSearch can help you search files or folders on all your local drives in just a few seconds. Input your keywords, select the drive and then start to search. After searching, Wise JetSearch will show you the searching results such as file/folder name, path, size and last modified date. Also, a right click can provide you with a direct and convenient way to deal with the file/folder you found out. HDClone creates physical or logical copies (clones) and file images of hard disks and other mass storage media. HDClone is a perfect tool for backups and copies of entire software or operating system installations. A special 'SafeRescue' mode makes HDClone an invaluable tool for rescuing defective hard disks and other media. HDClone works independent of partitioning scheme, file system, and operating system. It also works with proprietary formats which otherwise would be unaccessible. File manager for Windows. Two-panel interface. UNICODE support. Extended search of files. Multi-rename tool. Synchronization of directories. Support of archives ZIP, RAR, ACE, CAB, JAR, TAR, LHA, GZ, TGZ, ARJ. Built-in FTP client. Folder tabs. Support of WLX-plugins and WCX-plugins. Build-in viewer and quick view function. Network support. Drag and Drop Support. History and Hotlist functions. ?opy/move/delete files background mode support. Deleting files with WIPE. Background pictures support. Visual styles: color categories of files, fonts for all interface elements. Coollector Movie Database is a collection of movie encyclopedia, owned videos, and existing Videos. It has a huge encyclopedia of movies and series, that you can search in all possible ways, and personalize by rating all the movies you have seen. You can also manage your video collection, DVD, Blu-ray, and your VHS.whatever. Even the video files on your computer disk, which you can conveniently scan and play. And finally, the database of existing videos will simplify the input of your owned videos. Cross platform open source file manager with two panels side by side. It is inspired by Total Commander and features some new ideas. Unicode support. All operations working in background. Multi-rename tool. Tabbed interface. Custom columns. Internal text editor (F4) with syntax hightlighting. Built in file viewer (F3) to view files of in hex, binary or text format. Archives are handled like subdirectories. You can easily copy files to and from archives. 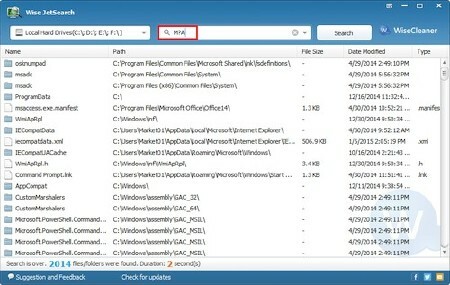 Extended search function with full text search in any files. Total Commander WCX, WDX and WLX plug-ins support. FastCopy is the Fastest Copy/Delete Software on Windows. It supports UNICODE and over MAX_PATH(260byte) pathname files. 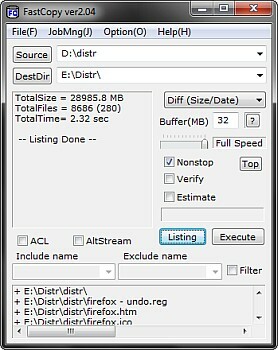 It automatically selects different method according to whether Source and DestDir are in the same or different HDD. Diff HD? - Reading and writing are processed respectively in parallel by another thread. Same HDD - Reading are processed until the big buffer fills. When the big buffer filled, writing are started and processed in bulk. 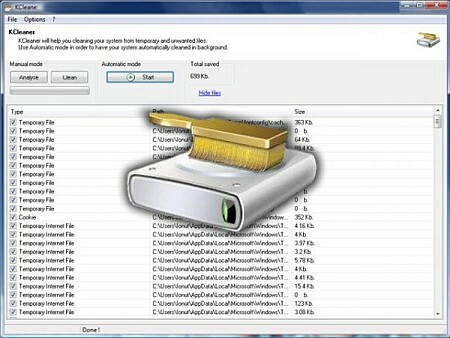 Xinorbis is a simple but powerful hard disk analyser. 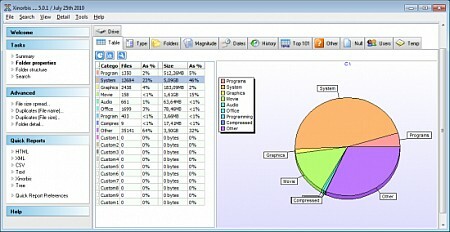 Using a sophisticated mix of graphs, tables and tree displays, it gives the user a complete overview of the contents of a hard disk, folder, removable or network drive. It makes it easy to see the contents, structure and file distribution and file composition of a whole hard disk, directory, or mapped network drive. Includes full report creation.